Glass is the clear choice! Everyone from Apple to the city of New York, acknowledges that the perfect way to stand out is to use glass and be totally transparent. Fearless, impressive and important, glass has been used to make a statement for thousands of years. From windows to monuments, Glass isn’t just beautiful – it magnifies beauty. Be energised for something better by using glass. Glass is committed to your family. Use glass to make sure what you consume is healthy, even for the smallest member of your family. Glass is the only packaging material that is guaranteed to leave your food untouched. Unlike the other packaging materials that have been proven to leach harmful chemicals into your food and drink. Within this universe, glass is known to be the safest for the environment. 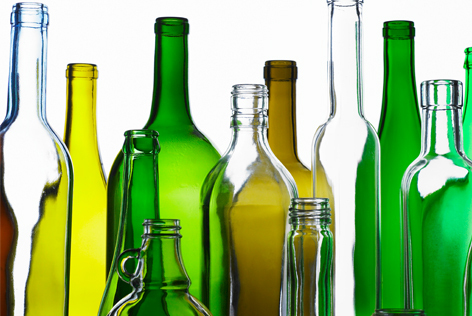 Unlike other packaging materials that turn into threatening waste, glass can be recycled and reﬁlled an inﬁnite amount of times without losing definition, purity or quality. Protect your health and food with recyclable, reﬁllable glass!